The Boxing Truth®: Will Mayweather Fight Again? The fight between undefeated multi-division world champion Floyd Mayweather and former two-division world champion Andre Berto on September 12th did not have one may argue the feeling or anticipation of a “Big Fight.” There were many who chose to criticize and/or outright ridicule Mayweather for choosing to defend his unified WBC/WBA Welterweight world championship against a fighter in Berto, who had gone 2-2 in his previous four fights prior to this encounter. Mayweather-Berto however, did have one intriguing storyline. The potential of the fight being the final time that Floyd Mayweather would enter the ring as a fighter. For a fighter that has been so dominant throughout his career, this was perhaps one of the best performances of Mayweather’s career. For twelve rounds, Floyd Mayweather simply put on a Boxing clinic. Mayweather consistently beat Berto to the punch, picked his shots, and dictated how the fight was fought from start to finish. Every facet of what has made Floyd Mayweather a dominant fighter and one, whose style has befuddled almost every opponent he has faced was on full display in this fight. Mayweather’s hand speed, accurate punching, and solid defense was the story of the bout. An example of Mayweather’s dominance in this fight was demonstrated in the total punch stats at the end of the bout. Mayweather is one of the most accurate offensive fighters in the sport and usually lands close to or exactly half of his total punches in his fights. This fight was no exception as Mayweather landed 232 of 410 punches thrown for a total connect percentage of 56%. As impressive as that statistic is, Mayweather complements his accurate offense with superb defense and in this fight his defense was equally as impressive as his offensive output. Andre Berto was the more active of the two fighters out throwing Mayweather by eighty-five punches, but was only able to land 83 out of 495 punches thrown for a total connect percentage of 16%. Berto simply had the same problem that most Mayweather opponents have had. He simply could not find a way to land on an elusive fighter for extended periods of time. It was a fight that did not have any drama or any questions as to who won the fight at the bout’s conclusion. As has been the case throughout his entire career, Mayweather used his Boxing IQ and attributes to box his way to a convincing twelve round unanimous decision. Although this fight ultimately ended up being a virtual exhibition, it was an example of a master of the “Science” that is Boxing putting on quite frankly a “Flawless” performance. Immediately following the fight Mayweather announced his retirement saying that he simply had nothing left to prove. The win over Berto advanced Mayweather’s record to 49-0, with 26 Knockouts. The question is will Floyd Mayweather stay retired? Mayweather certainly still possesses his skills and it is not out of the realm of possibility that he could change his mind at some point in the future. After all, many fighters have retired only to make a comeback. Mayweather himself has retired once before. Some may remember following his victory over Ricky Hatton in December 2007, Mayweather announced his retirement in June 2008. Mayweather would not stay retired long and made a comeback in September 2009 scoring a twelve round unanimous decision over Juan Manuel Marquez. Despite a near two-year layoff, Mayweather’s skills did not diminish and it was not long before he reclaimed his standing as the fighter most consider the best pound for pound in the world. Although this observer agrees with Mayweather that after winning world titles from the 130lb. Jr. Lightweight division up to the 154lb. 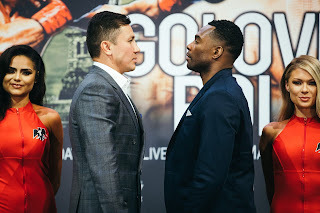 Jr. Middleweight division that he does not have to continue to prove his standing as a great fighter, as I said prior to his fight with Andre Berto, I am not too sure that the Boxing world has seen the last of Floyd Mayweather as a fighter. It is understandable that a fighter who has secured his future outside the ring after achieving virtually every goal he set out for himself as a fighter would want to leave the sport with all of his faculties intact. The history of the sport of Boxing is unfortunately full of stories of great fighters who either stayed in the sport for too long as active fighters and/or were forced out of retirement for various reasons who no longer possessed the skills that made them great at their peak by the end of their careers. At this point Floyd Mayweather is not in a position where he would be forced out of retirement and clearly does not want to stay active as a fighter even though he is still at the top of his game. Regardless of what one’s opinion might be of Floyd Mayweather if he does stick to his word and does not return to the ring in the future it is something that should be applauded. After all, many fighters do not have the option to leave the sport on their own terms and if Mayweather does stick to his word it may set an example for younger fighters as to how to make sure they are secure financially and otherwise and how to take a strategic approach in how they want to end their careers. If this is indeed the end for Floyd Mayweather it will be interesting to see where he will rank among the all-time greats of the sport. Although Mayweather’s style is one that is not always crowd-pleasing as this observer has frequently said over the years, as a fighter he is as good and as skilled as they come. The objective of the sport after all is to hit and not get hit. Mayweather has mastered this objective and it is hard to argue his standing as an all-time great of the sport after winning world championships in five different weight classes and going undefeated in forty-nine professional fights. The true test will be whether or not Mayweather will stay retired. Although there is nothing left for him to prove in this observer’s eyes, there is always a possibility of what would be a third chapter in the career of Floyd Mayweather at some point in the future. The decision of whether to fight again will ultimately be made by Mayweather himself. If this is the end of the road for a great fighter and champion, this observer would like to simply say… Congratulations on a great career Floyd.